Come and see our products with premium quality and reaonable price for you. Enjoy variety of products, simplicity of purchasing and security of payment. We ship all items worldwide!! as your selection of mailing service. 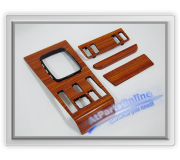 AtPartsOnlie, your trustworthy BMW & Mercedes-Benz auto spare parts. AtPartsOnline - Serve all you need! •Product image is a preview. The color and texture may slightly differ from actual product due to limitations of digital media. •One set included 4 pieces for central fader control, ashtray compartment and instrument panel control. 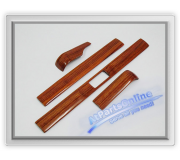 •For all Mercedes-Benz W107 W123 W124 W126 W129 W140 W201 W202 series. •One set contains 2 pieces for both side of MB blinker light. •Brand New from OSRAM, OEM part number N400809000000.